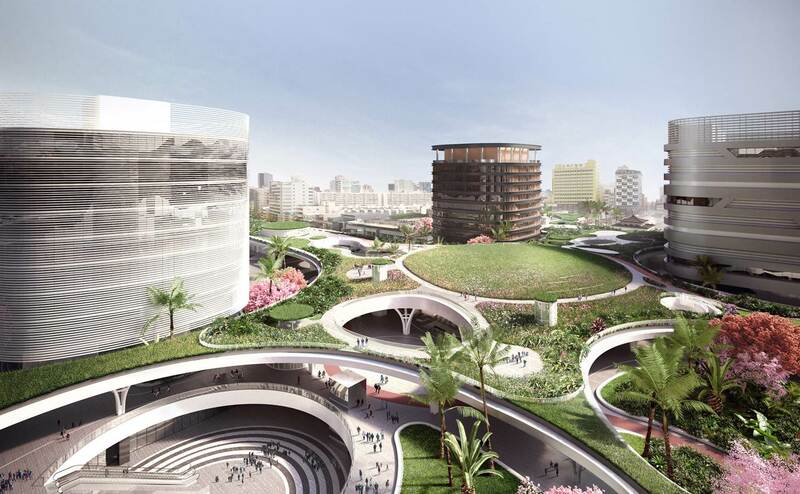 Dutch studio Mecanoo has unveiled their proposal for a transportation hub in Kaohsiung, Taiwan. 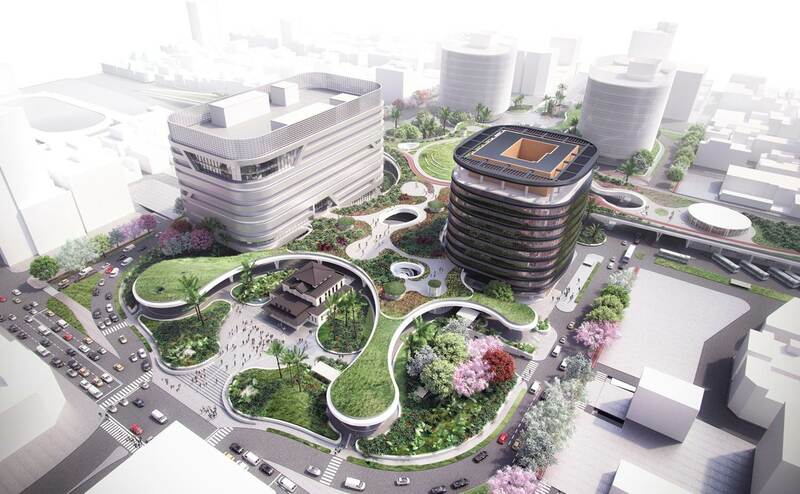 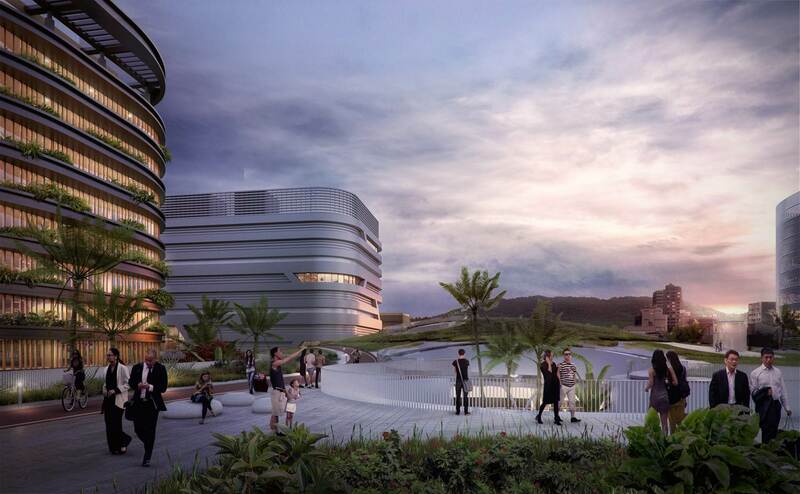 The project will be the firm’s sixth project in the country and third in Kaohsiung where Mecanoo has an office, located at the Southern end of the Island. 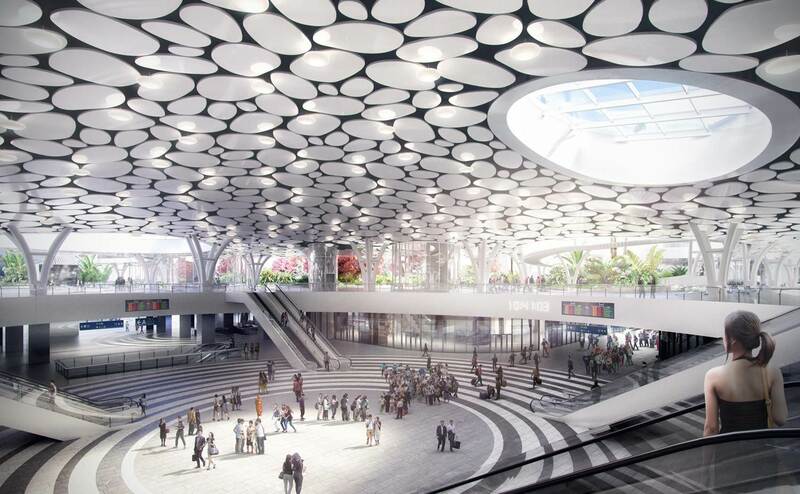 Offering integrated train, metro, local, and intercity bus services, along with taxi and bicycle access, the new Kaohsiung Station is the centerpiece of the Kaohsiung Metropolitan Area Underground Railway Project. 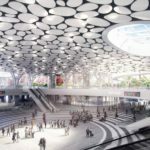 That project includes seven underground stations spanning a four mile tunnel, however the station aims to contribute significantly to life above ground too. 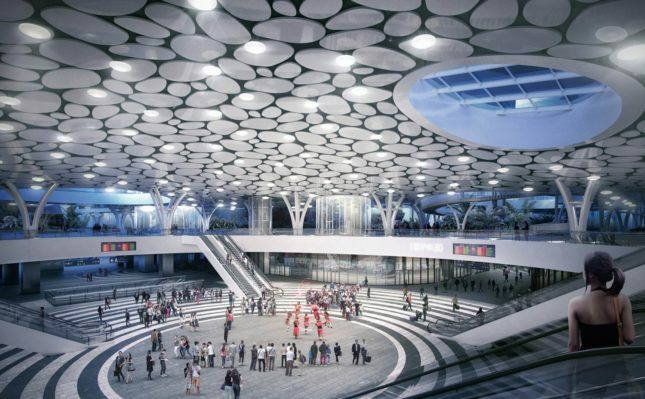 The building’s central hall, located below, opens upwards with a series of oval-shaped lights arranged to form a semi-tessellating pattern in the ceiling. 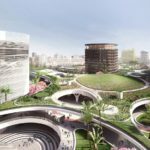 Part of the 139,930 square foot sunken station plaza, the sculpted roof shields the open public plaza from Kaohsiung’s tropical climate. 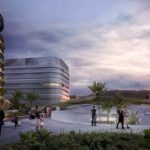 This design allows the space to host events, markets, traditional open air opera, or a mobile libraries, among other activities. 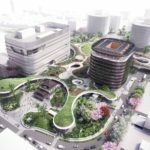 “The sprawling green canopy protects the open public plaza underneath from Kaohsiung’s tropical climate like large trees would do,” she continued. 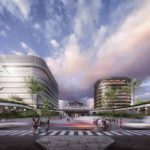 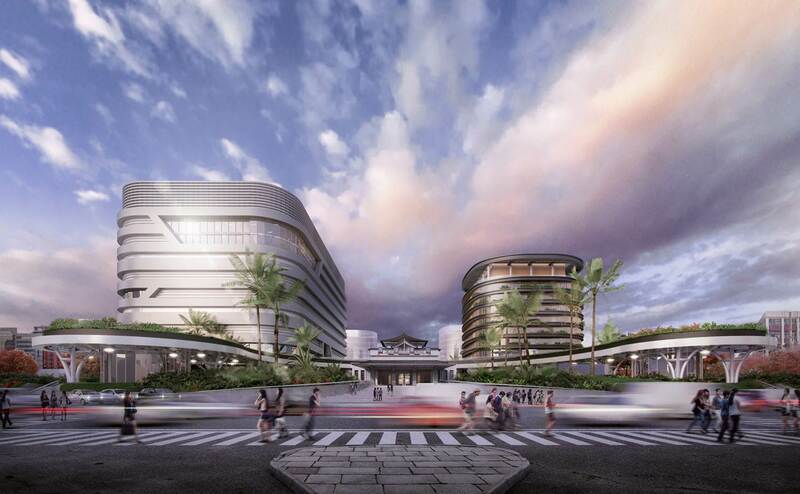 “Here people can meet, enjoy a refreshing breeze, or visit events that take place at the station, like a farmers’ market, second hand market, traditional open air opera or a mobile library.” The building is due to be complete by 2024.